Chris Froome completed a sensational comeback to win the Giro d’Italia on Sunday for a rare Grand Tour treble after the 21st and final stage in Rome. Froome became the first Briton to win the race in the Giro’s 101-year history after a 115km closed circuit race through the streets of the Italian capital. Froome finished ahead of defending champion Tom Dumoulin (Sunweb) in the overall standings, with Colombian Miguel Angel Lopez (Astana) third. 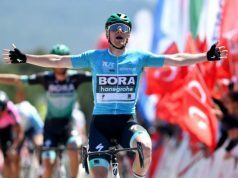 Sam Bennett (Bora-hansgrohe) sprinted to victory in the 21st and final stage, his third of this year’s race, after pipping four-stage winner Elia Viviani (Quick-Step Floors) at the line. Froome’s maiden Giro triumph has also set up the possibility he could target a rare Giro d’Italia-Tour de France double in the same calendar year — last achieved by Marco Pantani in 1998. 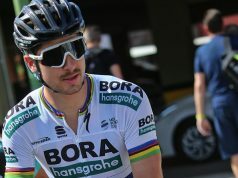 But his stunning success, capped by an 80 km-long breakaway through the mountains that gave him control of the race on stage 19, is partly overshadowed by controversy as the British rider continues to compete despite an ongoing anti-doping investigation. Froome provided an adverse analytical finding in his urine for double the permitted amount of the asthma drug salbutamol when he won the Vuelta last year. 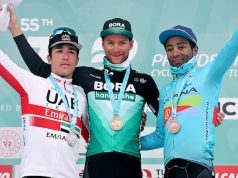 His victory was nevertheless impressive as it came despite his early struggles in the three-week race which had started in Jerusalem. 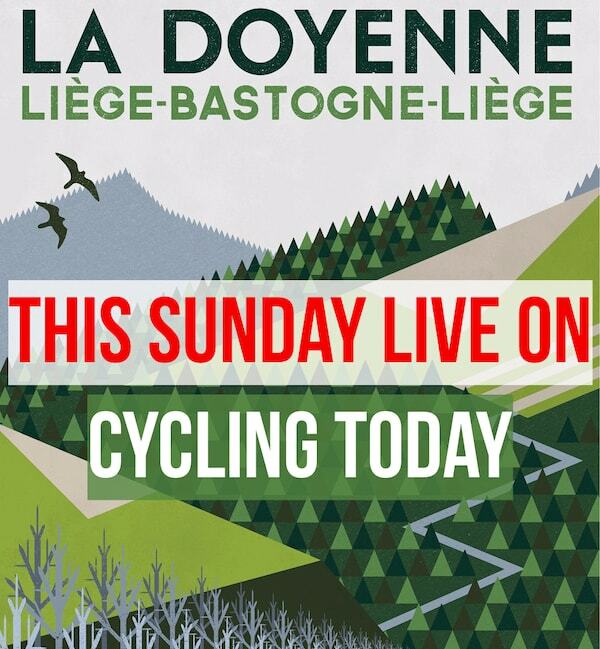 Froome fell twice including before the first stage and at one point trailed the leaders by nearly five minutes. But he powered back in the final week, winning two mountain stages including the prestigious 14th stage to the summit of Monte Zoncolan. 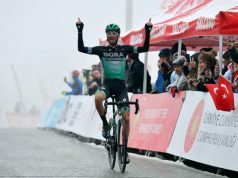 He then produced a memorable solo effort with 80km to go to win the 19th stage when he pulled on the pink jersey after long-time race leader Simon Yates suffered a stunning collapse. 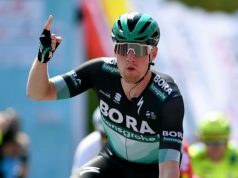 The four-time Tour de France winner put himself on the brink of victory in the 20th and penultimate stage when he led Dumoulin by 46 seconds. And he defended his overall lead on the final closed circuit stage with ten loops of 11.5km through the essentially flat streets past some of Rome’s iconic landmarks. The stage was neutralised with seven laps of the city to go because of security reasons, leaving Froome needing to just cross the line to seal a memorable victory.